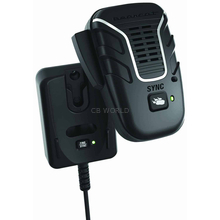 This wireless CB microphone from Uniden features up to 100 meter range, auto power off, and secure sync technology. It allows you to send and receive from the radio from anywhere around your vehicle. This 6 pin wireless mic is currently only compatible with Uniden BC680, BC880, and BC980 radios. Since being able to talk 100 meters away wouldn't do any good if you couldn't hear the response, this unit has a built in speaker and volume controls. The sound was good sending and receiving. The only drawback is the 6 pin connector on the base unit. The base unit has to connect to you radio, and Uniden seems to have made it for their newer BC680, BC880 and BC980 radios. 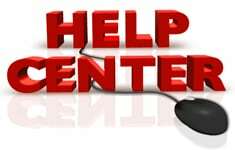 We hope to find an adapter that will allow you to plug the BC906W into a 4 pin radio, but as of now it isn't possible. We also tried the Undien BC906W with a Cobra 29LTDBT, and that doesn't work either.